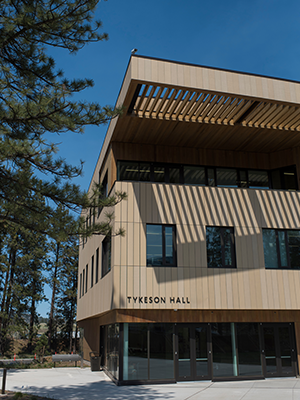 Tykeson Hall, the first academic building on the OSU-Cascades campus. Oregon State University – Cascades’ annual fact sheet has been updated for the 2018-2019 year. The fact sheet includes answers to frequently asked questions about OSU-Cascades, including student enrollment, economic impact, and campus expansion plans. To view the fact sheet information or download a pdf, visit osucascades.edu/about. To receive news and event announcements about OSU-Cascades, visit osucascades.edu/signup.